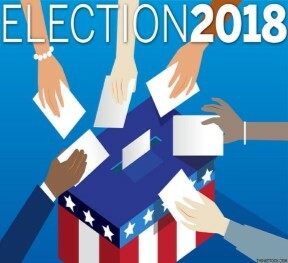 PALMDALE – A General Municipal Election will be held in the City of Palmdale on Tuesday, Nov. 6, 2018, for the office of Mayor and two City Council seats, the City Clerk’s Office announced. The Mayor’s seat is a citywide election for a full term of two years. The two City Council seats are four year terms and will be for District Three and District Four. Council District Three is generally located in the central portion of the City; and District Four is generally located in the eastern portion of the City. For full details, refer to the District Map at www.cityofpalmdale.org/Your-City-Hall/City-Elections. The nomination period for these offices begins on Monday, July 16, 2018, and closes on Friday, August 10, 2018, at 5 p.m. If nomination papers for an incumbent officer of the City are not filed by August 10, 2018, (the 88th day before the election) the voters shall have until the 83rd day before the election, August 15, 2018, to nominate candidates other than the person(s) who are the incumbents on the 88th day before the election, for that incumbent’s elective office. This extension is not applicable where there is no incumbent eligible to be elected. If no one or only one person is nominated for an elective office, appointment to the elective office may be made as prescribed by §10229, Elections Code of the State of California. The polls will be open between the hours of 7 a.m. and 8 p.m.
For more information, call the City Clerk at 661-267-5151.